Whether it’s your own personal home or a location for your business, real estate is one of the most important purchases a person makes in their lives. Having the right location can really help a business grow and succeed. But most people and businesses are not able to pay for real estate in full at the time of purchase. While an individual person can apply for a mortgage to buy the home of their dreams, business owners need to seek out real estate financing options like a commercial real estate loan. Real estate financing is a type of business financing used for purchasing real estate. This can be done through a regular business loan (also known as a term loan), a commercial real estate loan, or an SBA loan. Since the property itself can serve as collateral, business owners often don’t need to provide anything else to secure the loan. However, some business owners may need to provide a personal guarantee for the loan or an extra asset for collateral if the lender is concerned about the business’s credit score. If you’re looking for a loan to purchase a property where you would lease some or all of the space out to other businesses, you might not be eligible for some types of real estate financing. For example, CDC/504 loans backed by the SBA are only available to businesses who will be occupying at least 51% of the space. Commercial real estate loans often have restrictions against prepayment. If you choose a type of real estate loan that has shorter terms, you’ll most likely have to make a very large balloon payment at the end of the term. If you aren’t able to pay the full amount of the balloon payment at the end of the end of the term, you may need to take out another loan to pay the balance, which is something many business owners may not be comfortable with. If you were to go to a bank and apply for a regular business loan, you would be applying for a term loan. A term loan is simply a type of loan that is set to be paid off within a specific amount of time. Funds from regular business loans can be used for a wide variety of business expenses, including buying real estate or renovating an existing property. A commercial real estate loan is solely intended to be used for commercial real estate. There are two main types of commercial real estate loans: interest rate reset loans and balloon payment loans. With an interest rate reset loan, your loan will have a fixed interest rate for the first few years, but will then begin to vary according to the market afterward. Interest rate reset loans tend to have longer terms than balloon payment loans. A balloon payment loan has shorter terms and lower monthly payments, but once the end of the term arrives, the borrower will need to pay the outstanding balance of the loan. If you are a small business owner, some types of SBA loans can be used for purchasing real estate. CDC/504 loans are specifically intended for major, long-term investments like purchasing commercial real estate or constructing a new building for your business. 7(a) loans are available in amounts up to $5 million and can be used for many different business expenses, including buying commercial real estate or renovating an existing property. 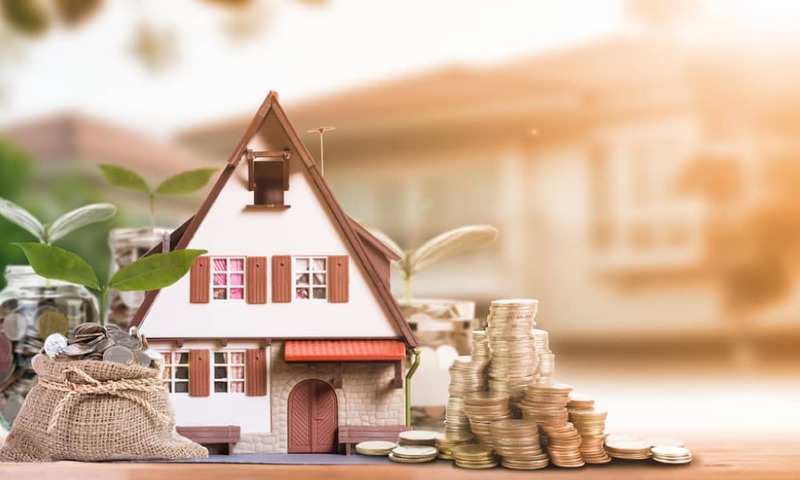 Since real estate is such a large investment, applying for a real estate loan is a more complicated process than applying for a short-term loan. Since you’re interested in a property to be used to generate income, lenders are going to be very interested in seeing a detailed business plan. Since you are dealing with real estate, you will need to pay for things like having the property surveyed and appraised. You may also need to have an environmental study done on the property. Lenders will consider your loan-to-value (LTV) ratio, which is related to the amount of your down payment. The LTV is the amount of the loan compared to the total value of the property. For example, if you’re able to make a 20% down payment, that means the lender would be providing a loan for 80% of the property’s value. In many cases, lenders look for LTVs that are 80% or lower. Another thing lenders will consider is your debt-service coverage ratio (DSCR). Your DSCR compares your annual net operating income (NOI) to your annual debts. This helps lenders gauge how much cash flow you are generating. Generally, lenders are more inclined to approve loans for businesses with a DSCR of 1.25 or higher.